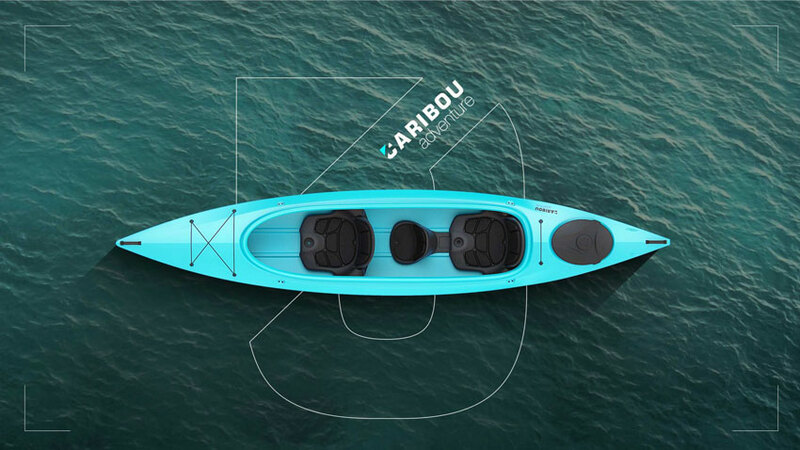 ‘caribou adventure’ is designed to meet the requirements of novice and semi-advanced river kayakers — its polyethylene hull makes it very durable and more suitable for not trained users. 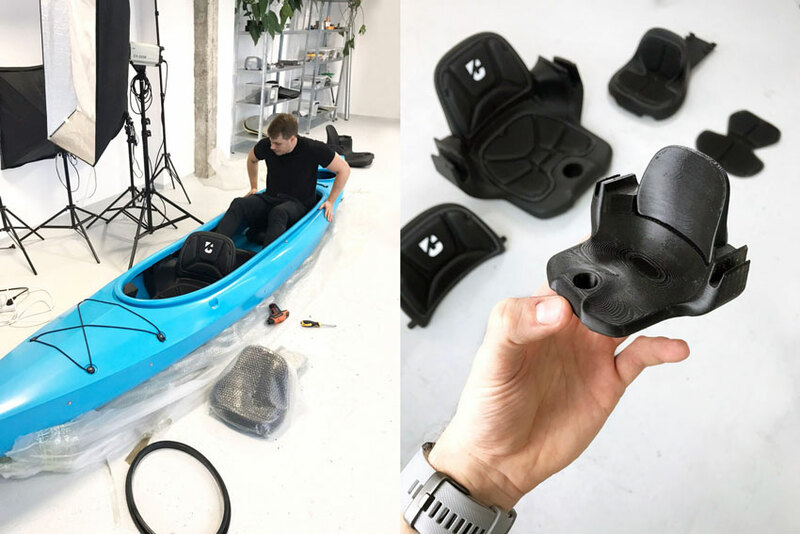 the prototype of the bottom part of the hull is built by craftsmen from the north of poland with a lifelong experience. 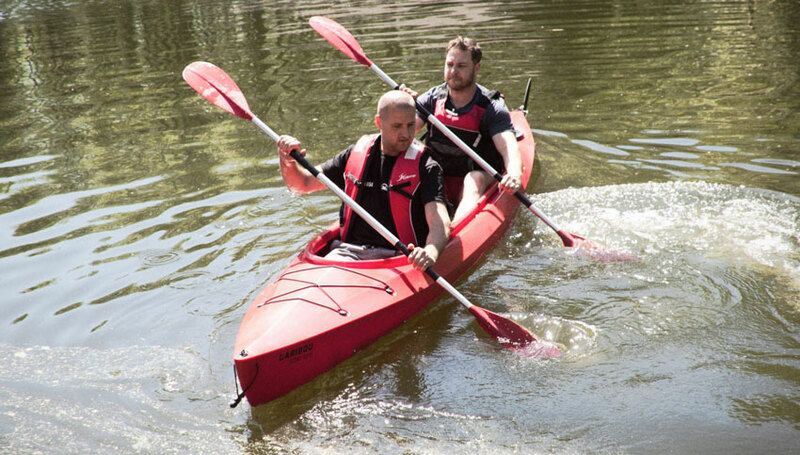 the nautical study and experience in building kayaks allowed to maximize the performance and maneuverability, while keeping very high load capacity of 400kg. 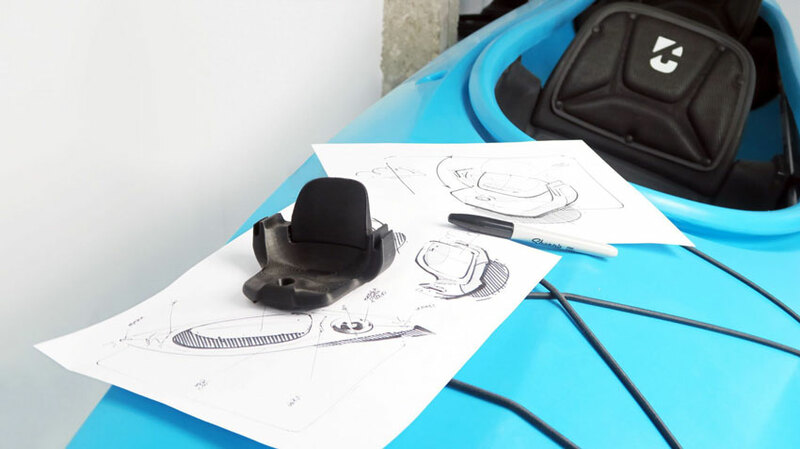 the upper part of the hull responds to high ergonomic requirements. 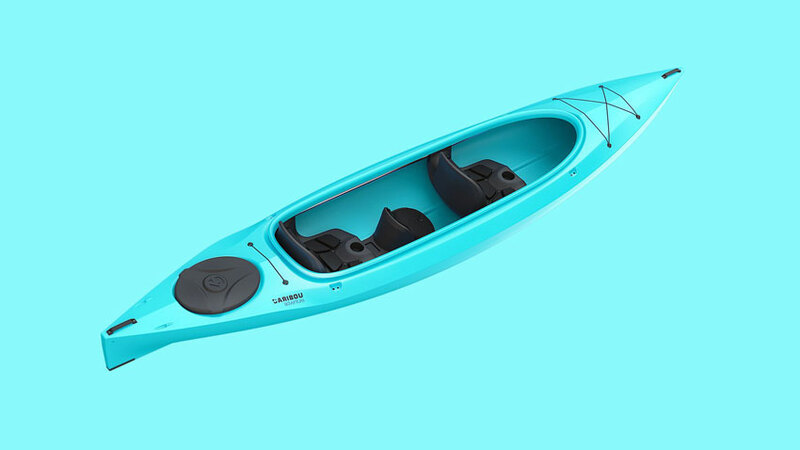 thorough research of usability was vital to the design — user’s survey showed that the actual effective angle of the paddle in the water was never achieved in available designs. 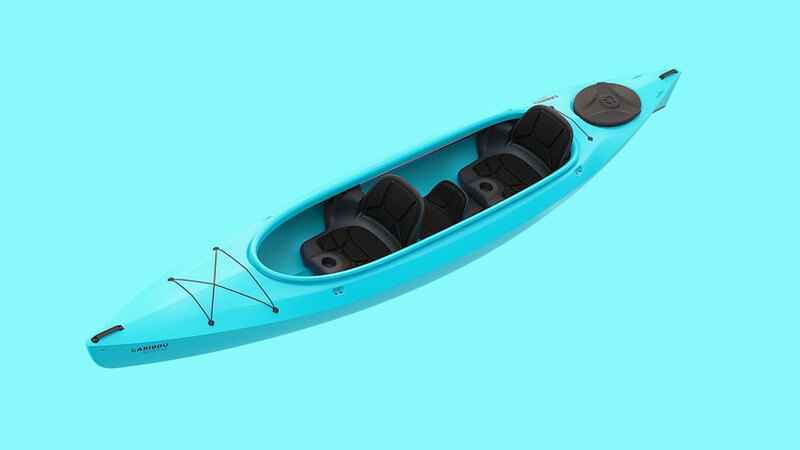 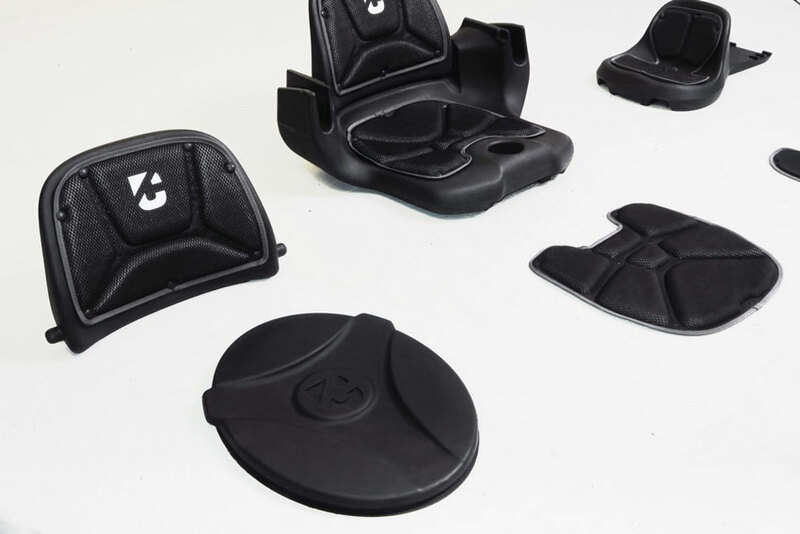 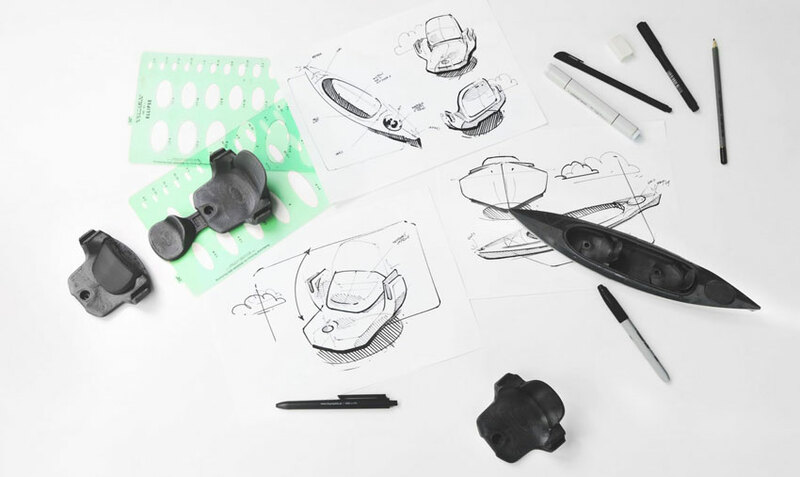 the idea to shape the hull in such a way released a significant additional space for the paddle while maintaining stability characteristic to wide river kayaks. 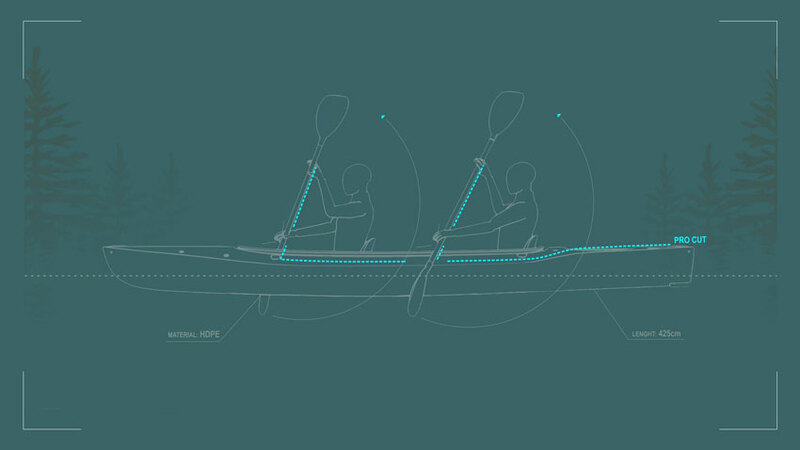 such geometry helps to improve novice kayakers skills faster and increases the comfort of paddling. 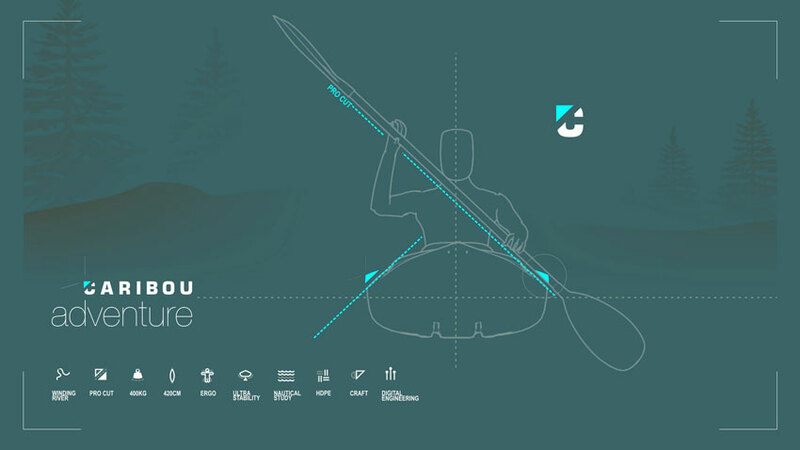 If you look at canoe racers, OC-1 boats or standup paddleboards – none would get ‘anywhere’ at this paddle angle, even improved a few degrees. The hull has a pleasant shape just make sure the economics are good. 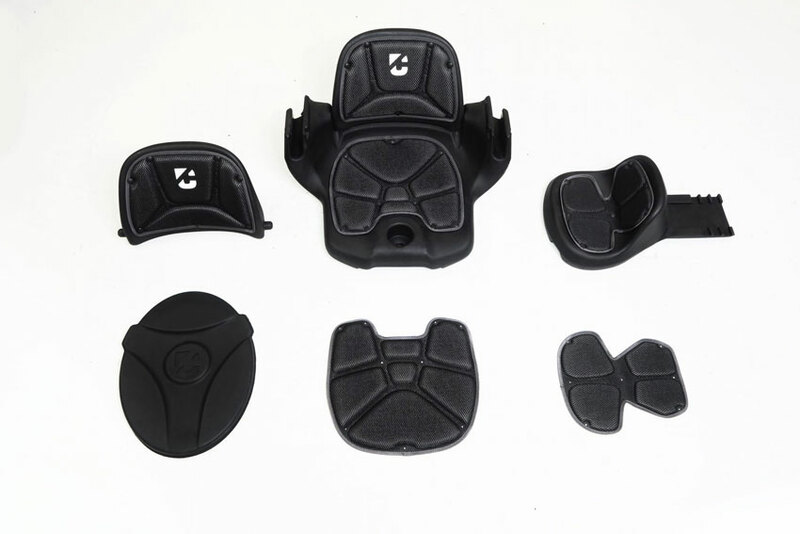 There is a lot of competition at the low end.